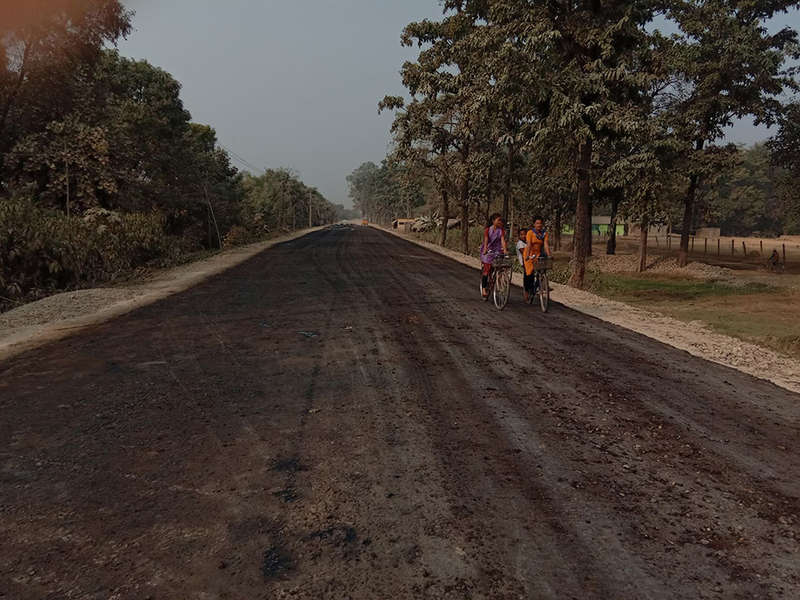 BARDIYA, Dec 2: Blacktopping of a 10-kilometer-long road section from Gulariya to Belawa in Sanoshree of Bardiya district has started. The section is part of the east-west Hulaki Road. Chief District Officer (CDO) of Bardiya Ram Bahadur Kurumbangh, Mayor of Madhuban municipality Krishan KC, and Chief of Ganapati Nirman Company Tulsi Bhandari inaugurated the blacktopping work on Saturday. The beginning of the blacktopping work has brought hopes among the locals who have expressed confidence that they will have better road network in the future. Rajendra Hamal, chair of ward no 7 of Madhuban Municipality, said: “The outline of the road is already prepared. We understand the locals' dream has come true after many years." He added that the people would now feel relief from the troubles they faced for years due to rough road. According to CDO Kurumbang, the blacktopping work will be completed within the next 15 days. The road construction was delayed for long due to multiple reasons. A major reason was that the Indian company that was awarded contract for building the road in 2012 walked out of the project. Following the walkout, governments of Nepal and India changed the modality of development of the road through bilateral negotiations. 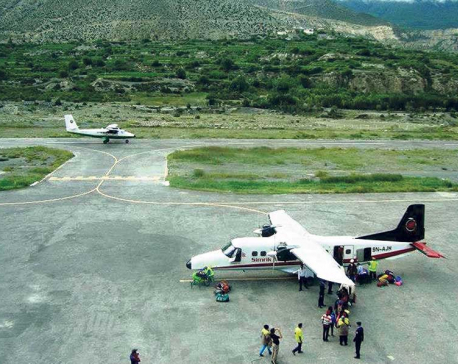 The government of Nepal then chose a contractor on its own to build the road with Indian grants. Ganapati Construction Pvt Ltd has got contract to build the road. According to the company, all the essential machineries and equipment for construction are in place. Vehicular movement has already become smooth in the opened track. "Building of the road has already started brining social and economic opportunities in our municipality," said Mayor KC, who also expressed hope that the migrant youths would return to the villages for doing business. Farmers are the most benefitted from the building of the road, because they can now sell the produce in the market easily, KC said. CDO Kurumbang said that the road would provide connectivity with neighboring district Kailali as well. "This road will uplift living standards of the local people," said Kurumbang. There are three sections of the Hulaki Road in this district: Rajapur-Belawa, Balewa-Bhurigaun, and Gulariya-Balewa. The total length of the three sections is 57 kilometers, and the total estimated cost of construction is Rs 1 billion.